Alaska HDTV is made in Alaska, by Alaskans. If you are looking for an "Inside" view of Alaska destinations with the authenticity of a local Alaskan perspective - this app is for you! 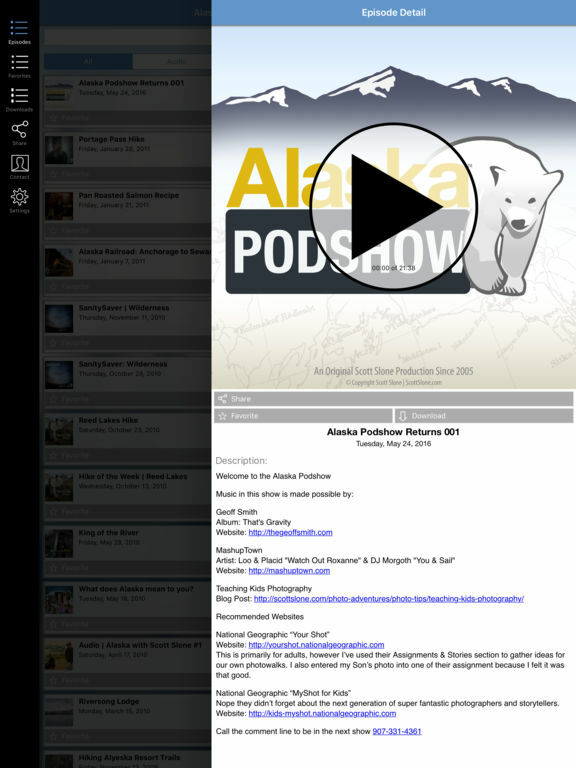 Thank you for purchasing our App and supporting Alaska HDTV. We look forward to seeing you here in Alaska! 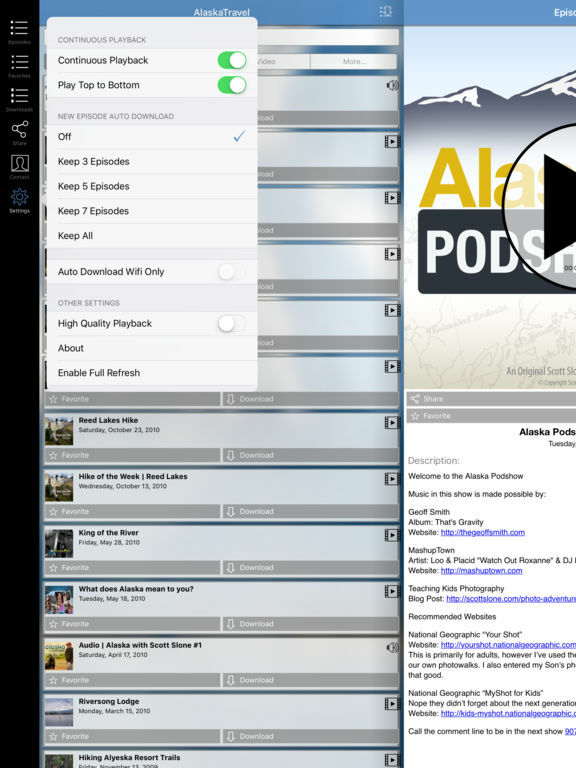 Alaska HDTV's Video Travel Guide also has integrated discounts and special offers! Find 2 for 1 deals, unique promotions and other travel related discounts for the current travel season. Discounts and promotions are associated with individual episodes and may change from time to time, so it's a good idea to watch for announcements. We partnered with Alaska Stock Images to be the exclusive image provider for wallpaper images in our app. Alaska Stock is the preeminent stock photography house for all things Alaska. Every month we will be releasing a new wallpaper image at the top level of the app and most episodes will also have a Alaska Stock images associated with them. Version 1.1 is available at an introductory price, so buy and save. Minor bug fixes and branding update.